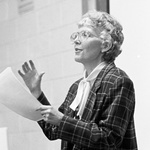 Magyar, Elaine Stedman, "Guiding Students along Pathways of Discovery" (1993). Multimedia Works. 98.